WOLVERHAMPTON were forced to settle for a consolation Premiership point as they went down 48-42 at Rye House. The Parrys International Wolves were always within touching distance of their opponents before taking the lead with six races remaining. But conceding back-to-back 5-1s in Heats 11 and 12 proved costly in the final outcome and Aussie ace Sam Masters ensured the Monmore men left Hoddesdon with something to show for their efforts by taking the chequered flag in fine style in heats 13 and 15. Wolverhampton team manager Peter Adams said: "We expected a little bit more to be honest and maybe we should be leaving with more than one point too. "But on reflection it's a tough little place to come to and with someone like Stuart Robson and the experience he posses at reserve, it certainly makes the task that little bit harder. "Sam and Rory (Schlein) stood out for us tonight and I pay particular credit to them because I thought they were both fantastic. "We had a couple of riders who underperformed by their usual high standards tonight, they know who they are without me naming them, and that was the difference between us winning and losing ultimately. "But it's another point to add to our tally and it preserves our record of getting something from every meeting since we made those team changes at the back end of April." After starting off with two second places, Masters claimed race wins in all three of his final outings on another super night for the Australian. Rory Schlein looked untouchable in his first three programmed rides before being squeezed out in the early stages of heats 12 and 15. Kyle Howarth produced a steady performance at No.2 while guest reserve Ellis Perks eventually got amongst the points against his former employers after a nasty looking spill in his opening ride. Swedish duo Freddie Lindgren and Jacob Thorssell both endured tough nights around the Hoddesdon circuit while Nathan Greaves' contribution came when he split the Rye House duo in Heat 2 but failed to score from his only other two races. 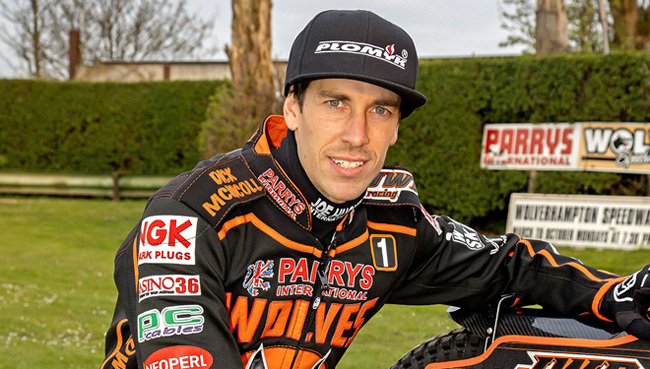 The Parrys International Wolves are back in action on Monday when they host Poole at Monmore Green (7.30). RYE HOUSE 48: Stuart Robson 12+1, Chris Harris 10+2, Scott Nicholls 10+2, Ben Barker 7+1, Ben Morley 6+1, Ricky Wells 3, Justin Sedgmen R/R. WOLVERHAMPTON 42: Sam Masters 13, Rory Schlein 9, Kyle Howarth 6, Freddie Lindgren 5+1, Ellis Perks 4+2, Jacob Thorssell 3, Nathan Greaves 2.